Can anyone give some info about this game? How is it compared to Grid 2? How do the cars handle? For me the cars handle better than in Grid 2. More like the first Grid. Not quite that grip level though, fortunately. But a lot better to get round a track without spinning or drifting through every corner. 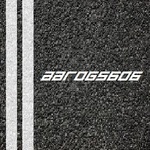 I've done a couple of online races and it's a good competition. Ofcourse there are some who think the one with the most banging is gonna win, but overall the racers are clean. Haven't really tried drifting yet, but it's harder to drift compared to the first Grid. I made you a few video's.... It's compare to Shift 2. But 10 times better with more track selections.. Thanks for the replies fellas, the tracks look like fun. I played today for the 1st time Online and it was really good. Although I didnt have any cars and the ones I used were not 100%, results were good, probably because I dont use any driving aids. There were people from Europe, South and North America and virtually no lag. Crashing is high risk, so people dont crash that much! On top of that, they are cleaning the cheaters from the Weekly Competition. Its has been a very long time since I had such cool Online action in a Car Racing game. Anybody interested in joining my club De Zoephoek? Let's see how far we can get. And how much fun we can have. a) I would prefer to use RIMM number 20... Also, you need to increase the size of the RIMM... Usually MAX size minus 1 or 2 steps. Dont ask me to explain it, but I feel the car better with this setting, since Grid2! b) The Sponsors... You must use sponsors that are not related to one car class or one kind of race... I know you have Sponsors that only reward if we do Time Attack others that only reward if we use a type of car... Replace them with more generic ones, please! PS: Drove before work a few races today... We already went up 100 positions in Club standings! Indeed, you have to use the Club livery. I've just made you manager so you can do what you like with the sponsors. I only put the ones up I thought looked nice, never really looked at the objectives. Just don't change the colors and skintype. Otherwise you can do what you like. The better the cars, the better we will be. Just do this: increase the rimm size by 2 clicks or 3... What ever looks better! It could be you have to make the skin yourself to be able to change it. So here are the things you'll need. I already have changed the rimms to a few clicks bigger. I'm sorry, but i have to ask! Does wheel size matter in handling? or just the feel of the car? Can any of us use the cars in the garage? You can only use the cars you've bought yourself, it's just the livery that's not costing you anything. If you use the Club Livery ofcourse. I'm sure in real life the rimm size does matter for the feel and or handling.